As the NFL is celebrating the 50th anniversary of the Super Bowl this year it causes you to look back at the NFL of yore. Many items changed due to knee jerk reactions instead of thinking the entire item through. One lost art is the player introductions before the Super Bowl. That moment of anticipation as you looked into players eyes as they came out before the big game. The intensity, inner desire, fear, and all the emotions you wanted to feel coming from that player at the moment of truth. Much like the camera that zooms in on boxers staring each other down when the referee gives the instructions. 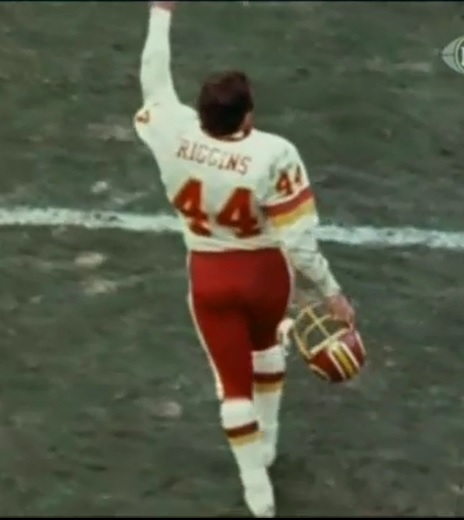 John Riggins curtain call after the ’82 playoff win over Minnesota. Another lost art is the curtain call for a quarterback who has just become league champion or a player after a great performance. Let the player come off the field alone to the applause of the crowd. This one is on the coaches. I salute John Harbaugh for giving Ray Lewis his curtain call, platooning him for the Ravens’ last offensive play in the 2012 Wild Card win over Indy. The PSI Net crowd went nuts when he trotted on the field and were even louder after the kneel down and Lewis broke into his signature dance. How much did that emotional moment have to do with the Ravens winning Super Bowl XLVII 4 weeks later?? One of the greatest moments in NFL history happened in a 1982 NFC playoff as the Washington Redskins were putting the finishing touches on a 21- win over the Minnesota Vikings. This curtain call along with John Riggins subsequent bow and the frenzied reaction by the RFK crowd propelled them through Dallas to Super Bowl XVII. 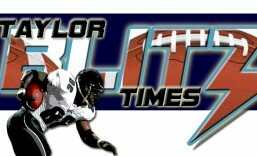 The “We want Dallas!! We want Dallas! !” chant went on for the better part of 15 minutes. You just heard Russ Grimm talk about the moment being ‘electric’ and “brings the hair up.” That emotion and confidence set the tone for the NFC Championship to come for a town and a team. The next day Dexter Manley told the media he hated Dallas and the madness didn’t stop until an argument broke out in the House of Representatives the following Friday. When it comes to great performances, coaches need to be aware of the moment and set it up for the player to hear the fans appreciation at the end of the game. Every moment may not be as catalytic as these moments were but these strengthen the bond between player, team, and fan. Today’s coaches shouldn’t lose sight of this. This entry was posted in Historic Writings and tagged 1982 playoffs, 1982 Washington Redskins, John Riggins, John Riggins bow, NFL History, washington redskins. Bookmark the permalink. ← Chip Kelly Must Go! !